"In this day and age, it's becoming harder to find high-quality service. We knew we had found it with Spectrum when our contractors recommended Mark to paint our newly finished basement. A season later, we had Larry and Mark back to paint the exterior of our house and they've been painting the neighborhood ever since. Years later our house still looks beautiful. We won't use anyone else." 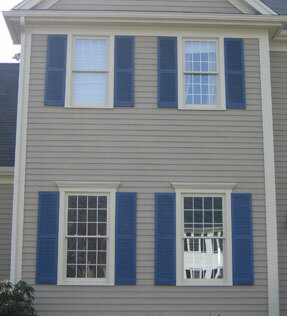 "We had the opportunity to observe Spectrum's work ethic when they painted our neighbor's house four years ago. We were very impressed with their attention to detail; Larry, Mark and their crew paint each house as if it is their own. My husband and I knew we wanted that kind of personal touch for our home and so we called Spectrum last spring; in fact, they were the only quote we got! They did a beautiful job and were so easy to work with; I always felt comfortable having them around. With Spectrum you feel like your friends are painting your house." "At Deluxe Corporation, we insist on delivering the right products, quality and services to our customers. And when it comes to our image, to our community neighbors and our employees, it has to be top notch. That's why we never compromise when it comes to the kinds of performance painting products and coatings that Spectrum Wallcovering delivers. When it has to be right, be it quality, cost, or meeting schedule, we always turn to Spectrum to get the job done. 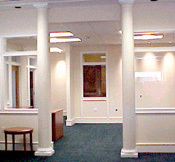 Whether the job is industrial sized, or a remodel, the attention to detail is always there." "Spectrum Wall Covering has been a key subcontractor for our business for the last 10 years. Our company has been in business for 25 years at which time we have relied on our reputation to be our advertising. Without contractors like Spectrum Wall Covering & Painting working with us, we would not have the reputation we have today - which is quality work, clean, courteous & helpful employees." Peter Pelletier, President Pelletier Brothers Inc.